All Books On Sale Online! Free Shipping Within Continental US Only! "Request An Autograph for Your Book at Paypal Checkout!" 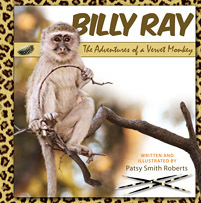 "Billy Ray, The Adventures of a Vervet Monkey"
A classic tale of friendship, Billy Ray is a heartwarming story about three young monkeys and their wild adventures in the African bush. Along the way, Billy Ray and his best friend Buck encounter an elephant, hyena, a hungry leopard and two angry lions. The monkeys need to move FAST! What should they do? Billy Ray and his relationship with his friends show that friendships truly are blind to appearances, disabilities and differences. "Rory, The Adventures of a Lion Cub"
Rory, the littlest cub in the pride, feels that no one in his family takes any notice of him. 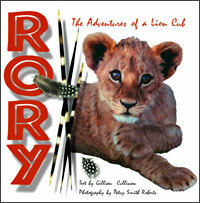 Everyone listens when his dad roars, so Rory sets off through the bush to practice his roar. However, after trying it out on a friendly giraffe, some scornful zebra and a troop of mocking monkeys, he finds, to his dismay, that his roar doesn’t have the same effect. But along the way he learns some important lessons, and best of all, that one day he will be able to roar just like his dad. 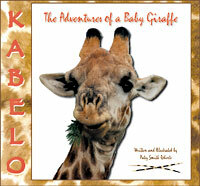 "Kabelo, The Adventures of a Baby Giraffe"
In the African bush of Botswana, a baby giraffe is born. Soon, her mother, Grace, knows that it is time to teach her how to live safely on the savanna. She knows that her baby, Kabelo, must learn to distinguish between foes and friends. During Kabelo’s adventures, she encounters many different kinds of animals. Baruti, a baby elephant, makes fun of Kabelo’s long spotted legs. In the end, those same legs carry her to safety and prove to be her greatest strength. 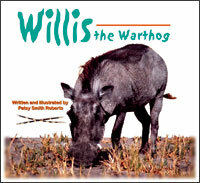 Willis the Warthog has a big day in the African bush country. He helps his baby sister Greta deal with insults from some haughty lions. And, after they turn down an offer to play, his two monkey friends warn Willis that Leory the Leopard might be hoping to put Willis and Greta on his breakfast menu! As the warthog who believes in himself, Willis has plenty of friends to help him keep an eye on the leopard. During his successful flight, Willis loses something very important – but not the respect and admiration of his sister, or the wackiest support group a brave young warthog could ever have. "Nigel, The Adventures of a Baby Elephant and His Meerkat Friend Moe"
Patsy Smith Roberts' picture book carries us along on this endearing youngster's eventful journey. 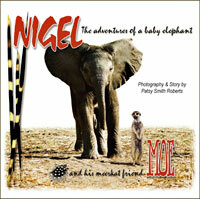 Nigel soon discovers that when faced with life's greatest uncertainties, even elephants need one really good friend. In Nigel's case that's a saucy Meerkat named Moe who knows exactly what Nigel needs. As this pair travels through Botswana, they have to deal with dangers and surprises galore in an adventure that's sure to delight and enrich young readers.